Want to enable Windows 10 Timeline feature in Chromium based Edge browser? It is possible by downloading Web Activities extension. 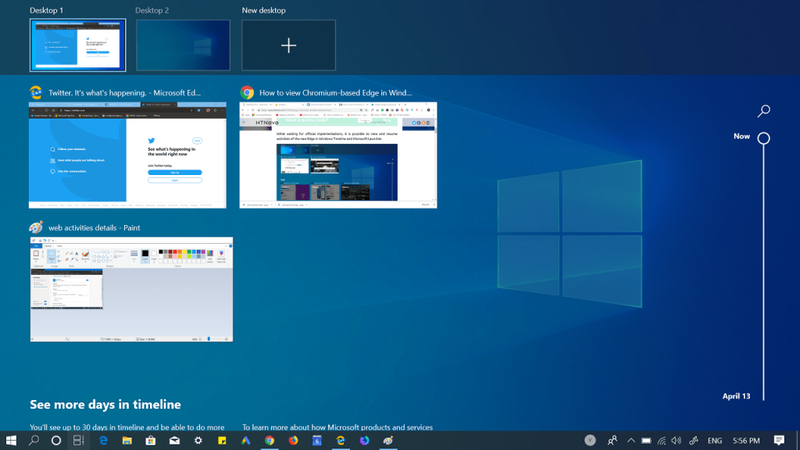 There are lots of feature of classic Edge browser which Microsoft has not included in the new Chromium-based Edge browser and one feature out of them is Windows 10 Timeline support. While there’s no official statement about when the company is going to implement the feature natively, it is already possible to view the activities carried out with the new Edge in Windows Timeline and Microsoft Launcher from another device connected to the same Microsoft Account. 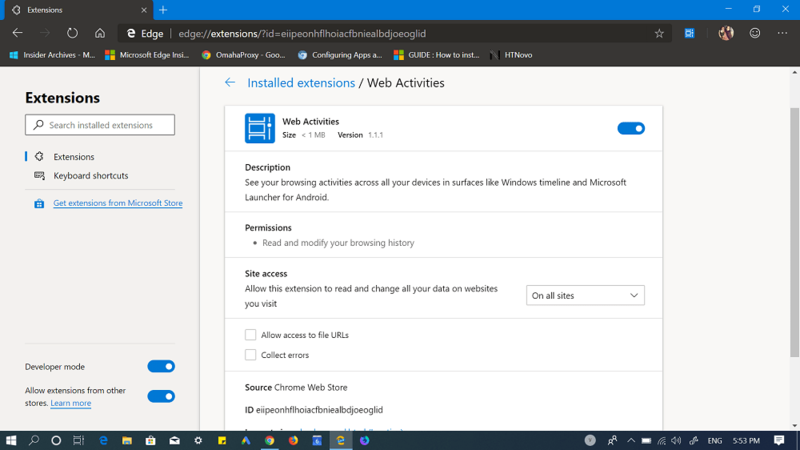 Thanks, Microsoft for making it possible to install Chrome extension in Edge browser and publishing a Web Activities extension in Chrome Web Store. It is an extension that enables full support for Windows 10 Timeline feature in Edge browser. 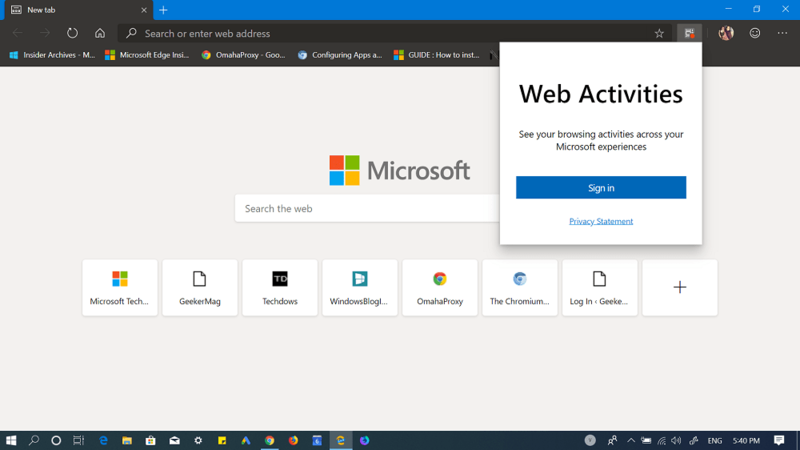 Add Web Activities extension to your Chromium-based Edge from this page You can check our blog post on How to Install Chrome extension in Edge browser. After that, click on the extension icon available on the upper right corner and log in to the service with your credentials. From now onwards all the activities carried out in Edge Chromium will be visible in the Timeline of Windows 10 and in on your Android phone if you’re using Microsoft launcher. What do you think of this Web Activities extension? Will you install it on your Edge browser? Let us know in the comments.